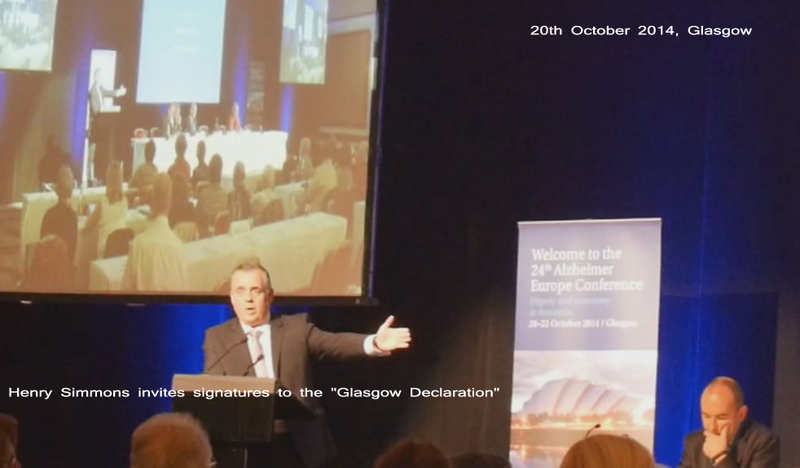 Alzheimer Scotland: in a “muddle”? You will note the Cabinet Secretary states that this first Strategy was “focused on improving care” through “more timely diagnosis”. 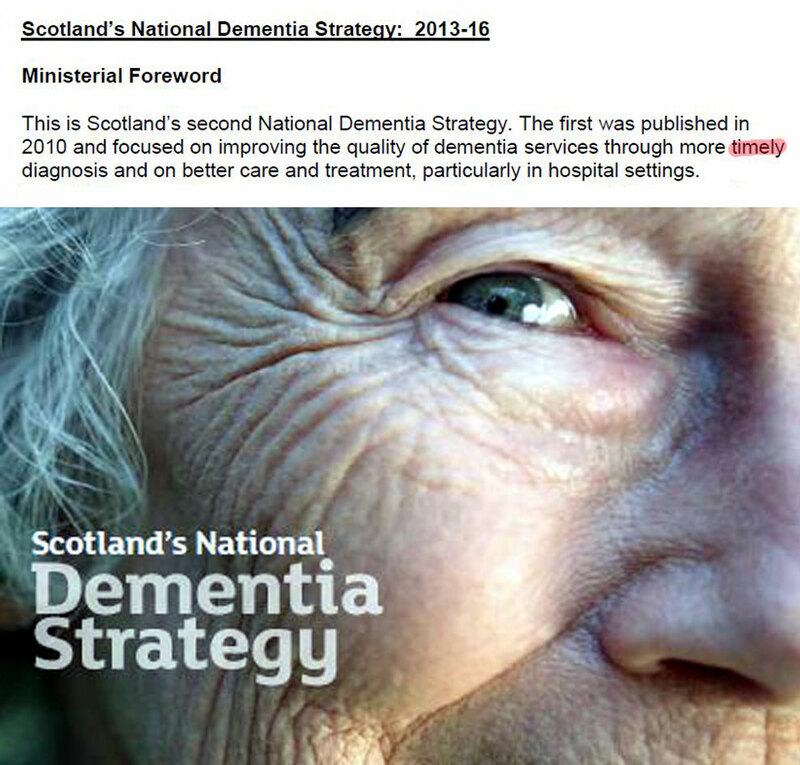 In fact Scotland’s first dementia strategy makes no mention of timely diagnosis of dementia. 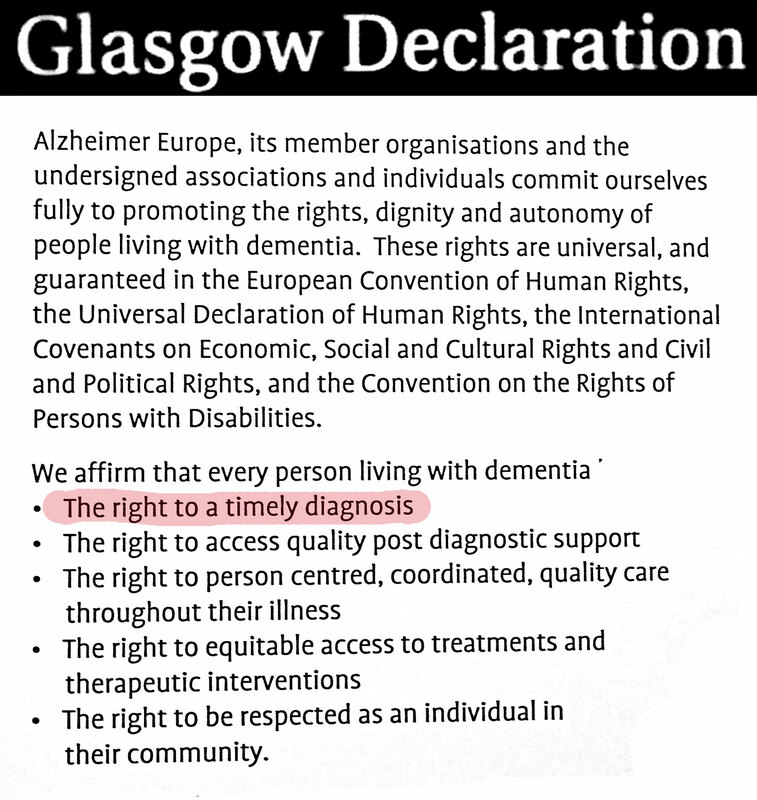 All of this is necessary backdrop to the “position statement” made on the 10th February 2015 by Alzheimer Scotland. I have heard several people describe this position statement as “muddled”. I have heard many elderly patients say, that when assessing their overall cognition, that it can feel like an “interrogation”. It is my view that we should listen to our patients. 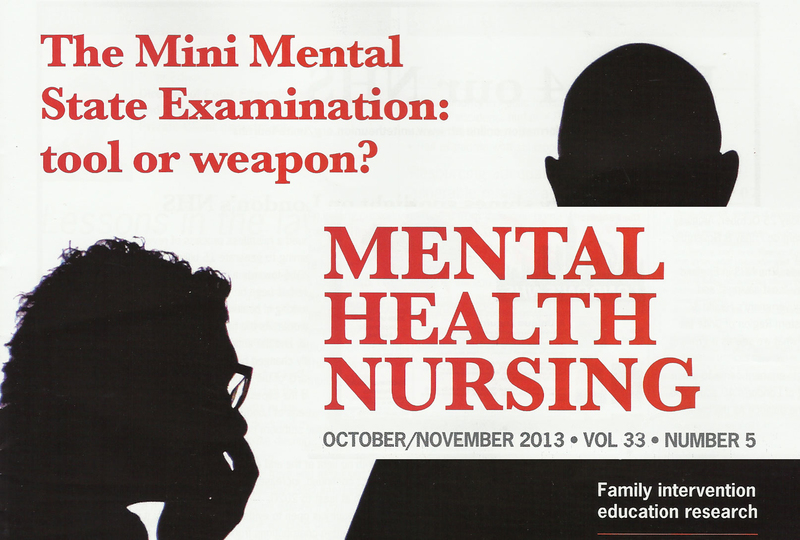 Grant King, lecturer in mental health nursing with the University of Dundee published an article about this in the Journal of Mental Health Nursing. It is worth reading. I partly consider it here. 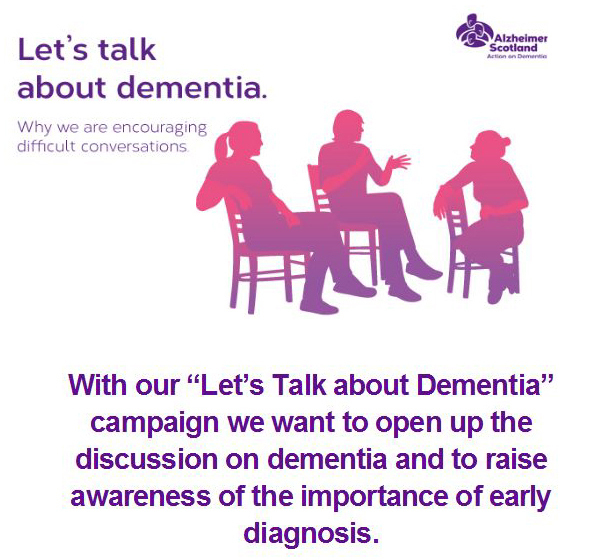 In their current “campaign” Alzheimer Scotland “encourage us” to have “difficult conversations” with our elders. This encouragement made me consider if it might be fair to reverse the roles and to have a “difficult conversation” with Alzheimer Scotland? The sort of “conversations” that Alzheimer Scotland “encourage” would most likely bring a cognitive examination for the person so discussed. The Mini Mental State Examination now has copyright, and the Adenbrooke’s Cognitive Examination is rated out of 100. For these reasons I have chosen to structure this “difficult conversation” with Alzheimer Scotland with a template that follows the Mental State Questionnaire (MSQ). This is a shorter ten item questionnaire. The following questions will be based on points made in the “position statement” by Alzheimer Scotland of the 10th February 2015. Do you think there might be a risk of giving “post-diagnostic counselling” to the 60-80% of our elders with “mild symptoms” that epidemiological studies (fully evidence-based) have found will never progress to clinical dementia? Is this a discussion only held in “medical circles”? Given the established parabolic distribution of memory through the course of life, on what scientific basis does Alzheimer Scotland “emphasise the importance” of “memory problems” in isolation from ageing, functional impairments, and crucially (in terms of Internationally accepted clinical criteria for dementia) other forms of cognitive impairment? Does this not seem to be an inconsistent, confusing and potentially harmful approach for Alzheimer Scotland to take? Have you consulted and gathered the wider views of Scotland’s “elderly” [those aged 65 or over] as a whole? Regardless of the term we may use [“screening”, “case-finding”, “detection”, “early diagnosis”, “timely diagnosis”] should we not – when it comes to matters of public health – seek to follow the ten criteria set by the World Health Organisation (Wilson & Jungner)? Established global research finds that “early recognition” can provide false-negative and false-positive diagnoses. In more basic terms: it can be harmful. Drs Wilson & Jungner provided criteria to help us. Dr Wilson was an Edinburgh doctor, largely forgotten but NOT to those interested in public health. Are you sure these statistics are fully valid and that they support your conclusion? So the question is: why has Alzheimer Scotland departed from ALCOVE? This is the only part of Alzheimer Scotland’s position statement which in any way recognises the complexity of cognitive changes over the course of life. Does Alzheimer Scotland think that this campaign takes account of the scientific questions that remain unanswered and which include an appreciation of the influence of culture, society and ageing itself? 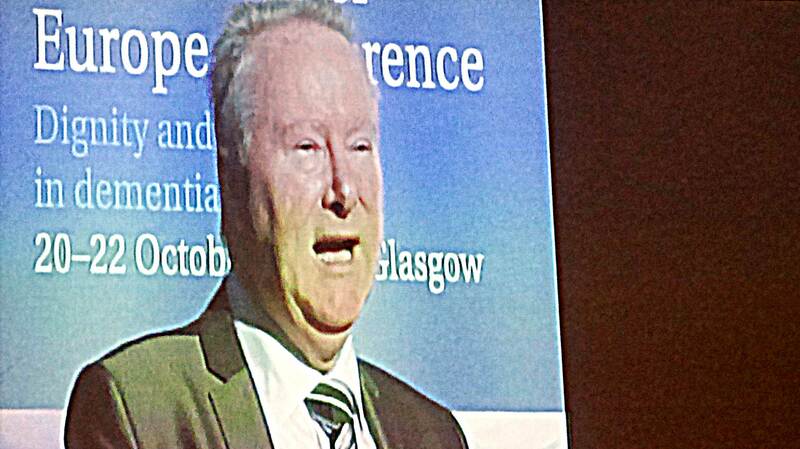 I do hope that Alzheimer Scotland will continue to engage with me in this conversation. I fully accept that it is a difficult conversation. I also understand that not all questions may be easily answered.